3D printed shoes – check it! Would You Wear a 3D Printed Shoe? Only a couple years ago, the thought of 3D printing shoes was one that simply did not make sense. This was especially the case when it came to doing so on desktop fused filament fabrication (FFF) based 3D printers. Recently with the influx of new material options available for 3D printing on these machines, we have seen many new uses for the technology. We have reported on several instances where companies and individuals have created clothing, accessories such as purses and smartphone cases, and even entirely 3D printed shoes. 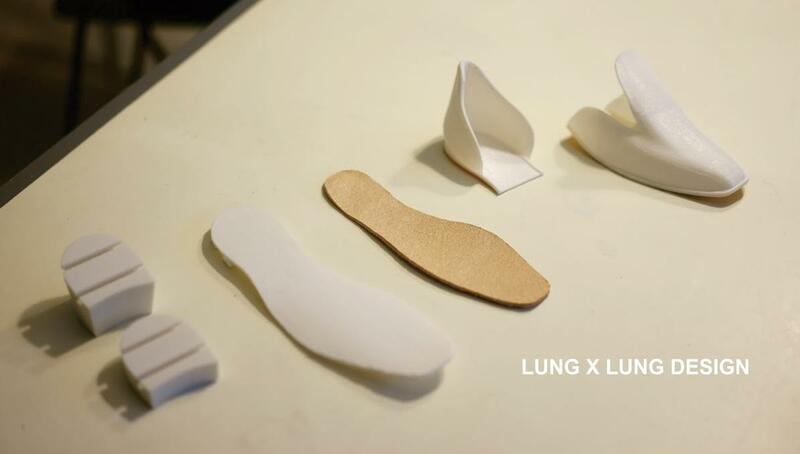 Now, one Taiwanese company, called Lung x Lung Design, hopes to take this a step further. 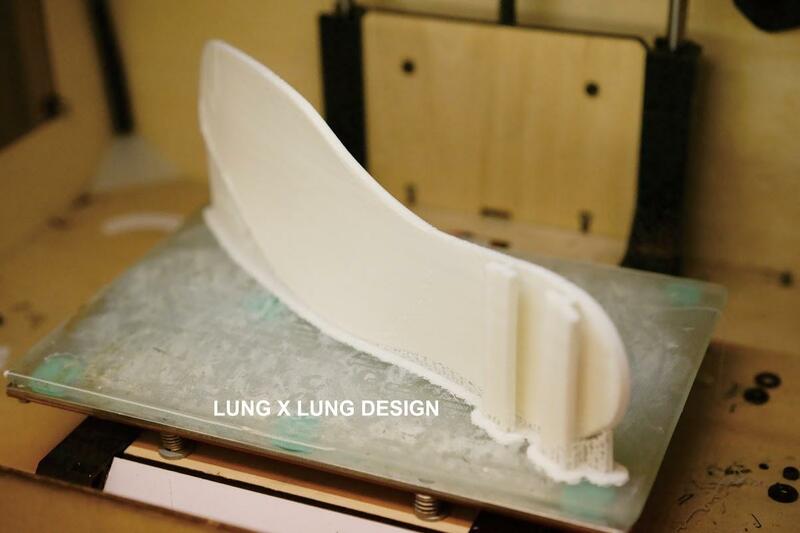 The co-founder of Lung x Lung, Min-Chieh Chen, has been obsessed with designing and architecture for a good portion of his life, and has a keen interest in digital fabrication. Chen has owned a FlashForge 3D printer since 2012, and has continuously been experimenting with different ideas. Last year he 3D printed a Hex Chain 3D Dresswhich was a remix of another design he found on Thingiverse. Then later that year, he gained a bit of attention from a walking brace that he had created for an injured duck, using his 3D printer. This year, he wanted to do something new, something that takes the idea of custom footwear and takes it one step further. In doing so, he came up with a 3D printed shoe that features interchangeable heels. When you come to think of it, the idea is really quite brilliant, especially when it comes to women’s footwear. With the increasing availability of flexible filaments, shoes can be 3D printed that are comfortable to wear, while also being able to easily be bent and compressed to fit into small spaces such as a woman’s handbag. It took Chen three iterations before perfecting the shoe design, which is based on a shoe designed by a company called Bata. 3D scanning is used to fit the shoe correctly to the wearer’s foot, ensuring an almost perfect fit. The shoe is printed in four separate pieces including the toe, the heel cup, the sole, and sole’s heel. Because of the fact that these shoes can be unassembled, the wearer has the option of removing the heel portion and replacing it with another size. Perhaps a woman would wish to wear a higher heel for going out in the evening, but revert back to the low heel for walking around during the day. 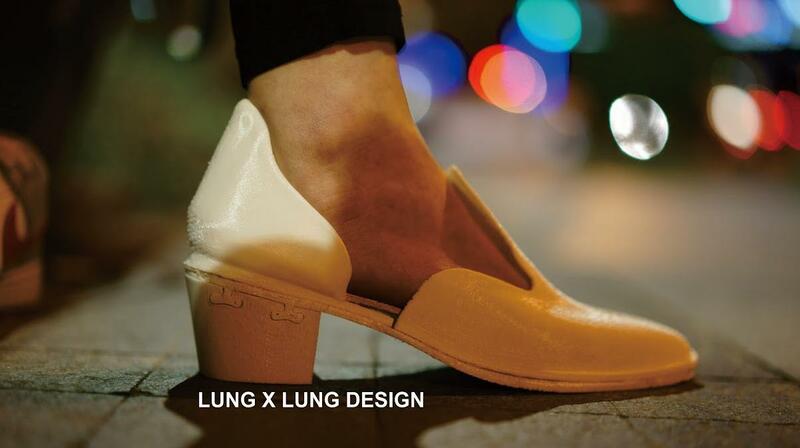 Lung x Lung’s design provides this option. It should be interesting to see if Chen continues to iterate upon this design and if he creates any other interesting new shoes in the future. 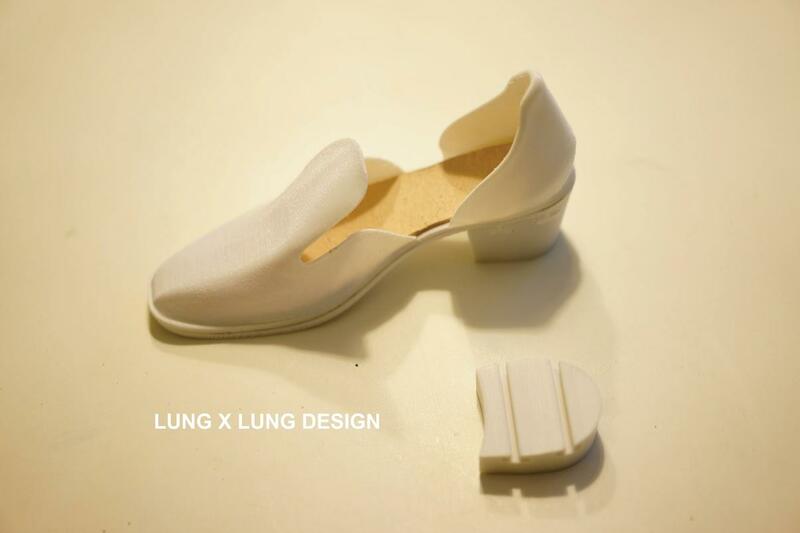 What do you think about this Lung x Lung shoe design? Would you be interested in 3D printing your own at home? 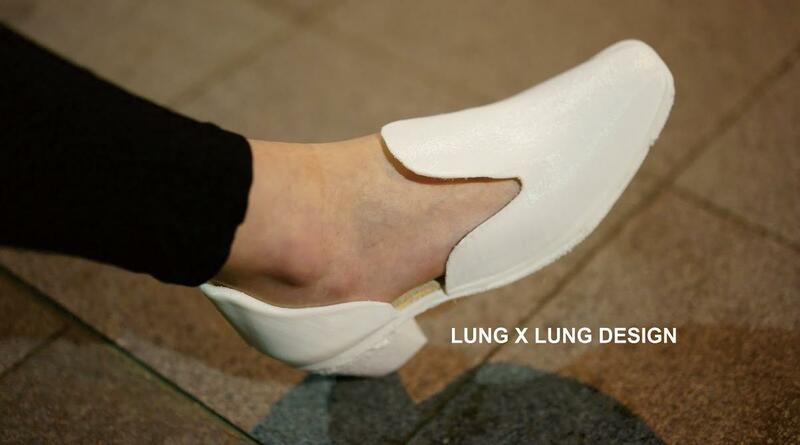 Discuss in the Lung x Lung shoe forum thread on 3DPB.com. The future US military drones look like they’re going to have a completely 3D-printed body and an Android phone for a brain. All for just $2500 a pop, with a wait of just over a day! We have 3D printed keys, guns and shoes — now a research team at the University of Virginia has created a 3D printed UAV drone for the Department of Defense. In the works for three years, the aircraft, no bigger than a remote-controlled plane, can carry a 1.5-pound payload. If it crashes or needs a design tweak for a new mission, another one can be printed out in a little more than a day, for just $2,500 (£1533). It’s made with off-the-shelf parts and has an Android phone for a brain. “We weren’t sure you could make anything lightweight and strong enough to fly,” says David Sheffler, who led the project. Sheffler is a former engineer for Pratt & Whitney and Rolls-Royce who now teaches at the university. After he created a 3D printed jet engine in one of his classes, the MITRE Corporation, a DoD contractor, asked him to create a 3D printed UAV that could be easily modified and built with readily available parts. The first prototype, the orange and blue model seen in the video above, was based on a conventional radio-controlled (RC) aircraft made of balsa wood, which is much lighter and stronger than the ABS plastic used in the university’s 3D printers. The same plane made of plastic would have weighed five times as much as the wood version. “You’re printing out of a material that’s really not well-suited to making an airplane,” Sheffler explains. On top of that, the way 3D printing works –building things in layers — led to structural weaknesses in the aircraft. To account for those downsides, Sheffler’s team reworked the design. They settled on a “flying wing” design, in which the whole aircraft is basically one big wing, and called it the Razor. The latest (third) prototype is made of nine printed parts that click together like Lego. The centre of the plane is all one piece, with a removable hatch that offers access the inner cargo bay. All of the electronics live in there, including a Google Nexus 5 smartphone running a custom-designed avionics app that controls the plane, and an RC-plane autopilot that manages the control surfaces with input from the phone. The Razor’s wing structure is one piece, with an aileron, winglets, and mount for the small jet engine that clip on. 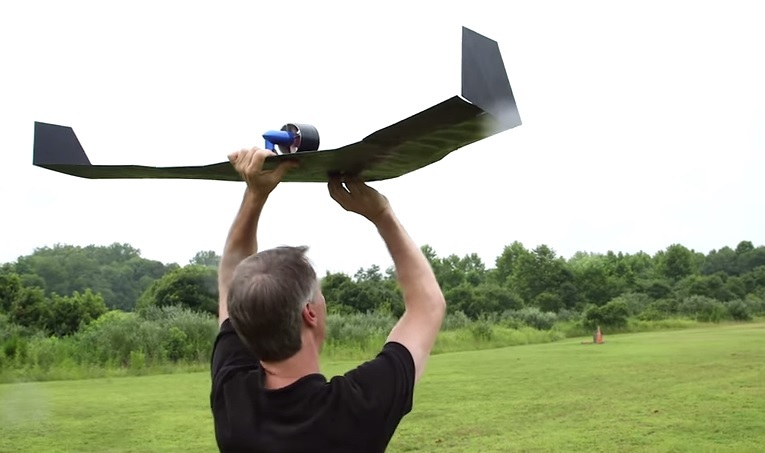 The aircraft, with a four-foot wingspan, weighs just 1.8 pounds. Loaded with all the electronics gear, it comes in at just under 6 pounds. That lets it fly at 40 mph for as long as 45 minutes, though the team’s working to get that up to an hour. An earlier prototype could top 100 mph, and the team believes the plane could hit 120 mph, at the cost of a very quickly drained battery. It can carry 1.5 pounds, so attaching a camera to it would be no problem. The batteries take two hours to fully charge and are easily swapped out, so if you’ve got three or four packs on hand, the Razor can be in the air nearly continuously. The plane can be controlled from up to a mile away, or fly on its own using preloaded GPS waypoints to navigate. The team uses the Nexus smartphone’s 4G LTE as well, meaning commands could be sent from much farther away, though FAA guidelines have kept them from long-distance testing. Here’s where the 3D printing really comes in handy: The design can be modified — and reprinted — easily, to be bigger or smaller, carry a sensor or a camera, or fly slower or faster. The plane can be made in 31 hours, with materials that cost $800 (£490.75). Electronics (like the tablet-based ground station) push the price to about $2,500 (£1,533). That’s so cheap, it’s effectively disposable, especially since you can make another one anywhere you can put a 3D printer. If one version is flawed or destroyed, you can just crank out another. Miss Georgia becomes the first Miss America hopeful to wear 3D printed shoes to the competition, putting wearable 3D printed flair on the map for such competitions! Shoes that look like a classic car? Georgia Tech industrial design students fashion a pair of high-tech shoes for their peer, Miss Georgia, inspired by the school’s Ford mascot. 3D-printed shoes have, until now, mostly been the stuff of art exhibits and fashion shows presaging a world in which we all look like we’re wearing alien life forms. On Saturday, shoes molded by 3D printing got a far wider showing, parading along New Jersey’s Atlantic City boardwalk on the feet of Miss Georgia, Maggie Bridges. At the traditional “Show Us Your Shoes” procession — where Miss America hopefuls wear fancy footwear honoring their home state — Bridges sported a pair of custom-engineered wedges inspired by the Ramblin’ Wreck, the 1930 Ford Model A Sport coupe that serves as student body mascot at Georgia Tech, where Bridges is a senior. The trio originally considered designing a shoe that said science with every step. “We were looking at DNA strands and beakers used in chemistry and stuff,” Sonne says in a video about the design process. In the end, they opted for a distinctly recognizable Georgia Tech icon, the Ramblin’ Wreck.